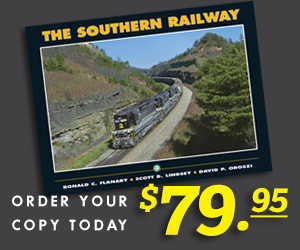 A Louisville & Nashville train is crossing Bank Lick Creek with another load of Eastern Kentucky coal. 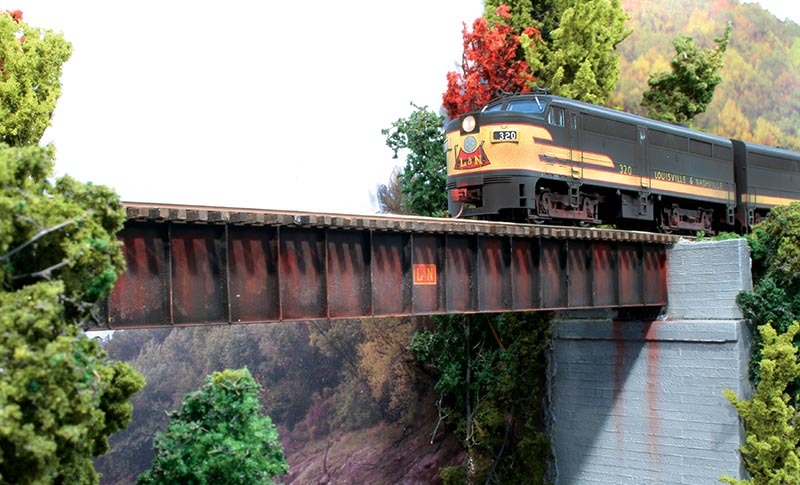 The HO scale bridge girder span was scratchbuilt by the author from simple brass shapes. A few years ago I was intrigued by an August 2015 article in Railroad Model Craftsman about a bridge scratchbuilt from styrene. As I read the article, I thought I could build something similar in brass. Before you decide that scratchbuilding or working in metal is too difficult: read on. Scratchbuilding is not difficult. In some ways it is easier, and you can build what you want to fit the available space. Soldering and working with metals is not difficult if you keep a few principles in your thoughts as you work. I learned to solder early on in my youth. I learned to weld in junior high school and worked as a welder my first summer out of college. Working in metal is very enjoyable. Follow a few simple principles and tips in this article and you can be successful and enjoy working in metal. Recently I completed the requirements for NMRA Achievement Program Master Builder Structures. One of the structures must be a bridge. Bridges and trestles take many forms. Some of these designs can be complex, yet some are very simple and easy to build. You can choose from many designs to make the crossing that fits your specific application. The plate girder bridge is an example of a simple yet strong design for intermediate and short spans. It is often used and seen in many places. As the name implies there is a girder (in this case two, one under each rail) and bridge ties are laid on the flange of the girder. The girders look much like the I-beam in Figure 1. The nomenclature of the elements is the same. This bridge was built a couple of years ago at my mother-in-law’s kitchen table over the Christmas holiday. When the women were out shopping or on one of their many outings I happily worked away on my project at home. I am blessed to have an understanding wife who gives me the space and time to do the things that I enjoy. You can see some of the cross bracing detail in this photo of the bottom of the bridge. I had designed this bridge for a specific place on my railroad, which follows the Louisville & Nashville Railroad. I first drew a conceptual sketch of how it would look, how the components would fit together, and how I would make the ribs that stiffen the sides and strengthen the prototype bridges so that the sides do not buckle under the weight of a train. Later I pulled out the drafting tools and made a scale drawing on a drawing board (I haven’t learned CAD and I am unlikely to do so this late in life). Some hardware stores and some hobby shops carry the K&S Engineering brand of metal parts. MicroMark and Walthers also carry their line in a wide selection and good quantities. I collected some straight brass parts that I thought I would need, plus a few extras in the event of an error or other problem. 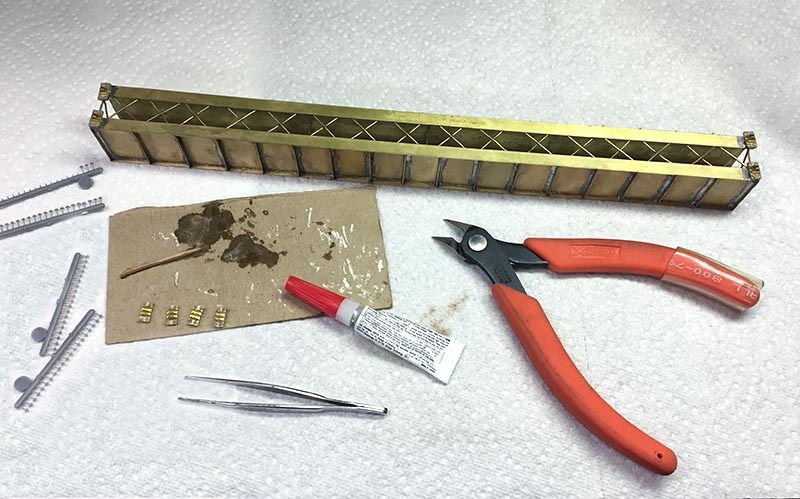 Brass is a soft metal, making it easy to cut and to solder. I purchased material in the widths required, so as not to have to cut them lengthwise. 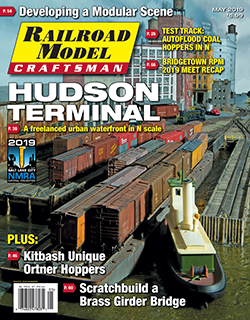 Read the rest of this article in the May 2019 issue of Railroad Model Craftsman!